We used our own earthy callings to make drawings of these clients’ visions, to give shape and definition to the dreams that our clients had not fully been able to visualize before. We were helping them make images of a healed world. The Kira Farm Development Centre in central Uganda began with a series of man-made ponds for tilapia and catfish farming. Our team was asked to design for this site a full program of agricultural uses and support buildings. The farm was to be a self-supporting community where older orphans could live for extended periods of time and receive training in modern farming techniques. We structured the master plan around the grid of preexisting fish ponds and laid out a network of footpaths across the site. 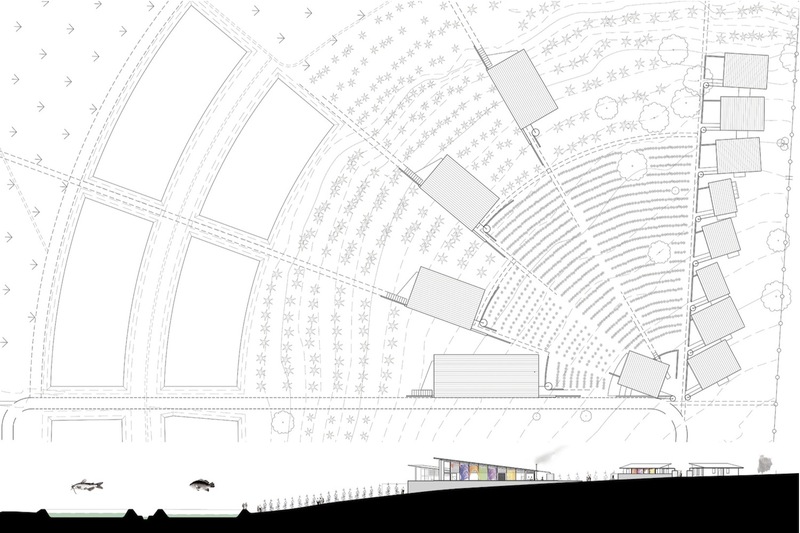 The buildings we designed were splayed across a hillside and interspersed among agricultural fields. 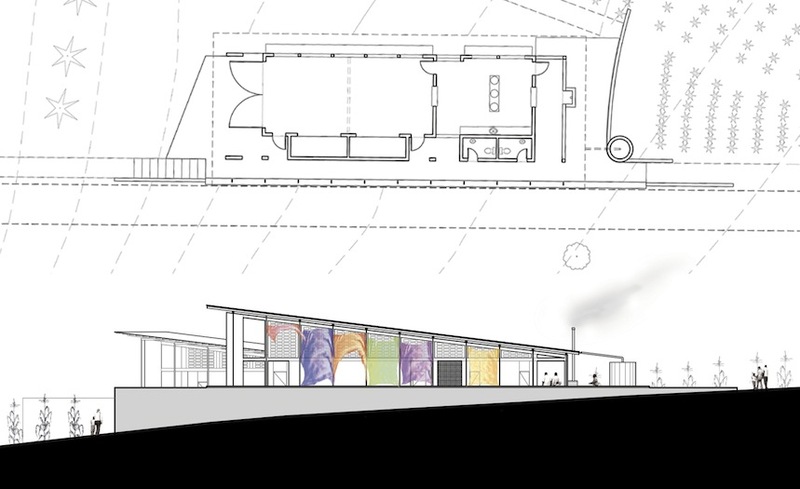 Simple roof forms capture rainwater and funnel breezes through each space. Locally made fabrics are strung along the western facades to block afternoon sun. I wanted to convey a sense of artfulness and careful simplicity in the mood of these drawings with the expectation that perhaps these same qualities might also be present one day in the daily routines of life on this farm.